The trending controversial song by Kizz Daniel titled “Fvck You” has officially premiered. Produced by serial hit-produced Young John, the provocative song is Daniel first new release since the released of his acclaimed sophomore album “No Bad Songz”. Although it was rumoured to be a diss song; “Fvck You” is a heartbreak number which sees Vado laments about the promiscuous ways of his light-skinned lover. Daniel suggests that his lover has been sleeping which his colleagues, listing names ranging from Wizkid to Don Jazzy. 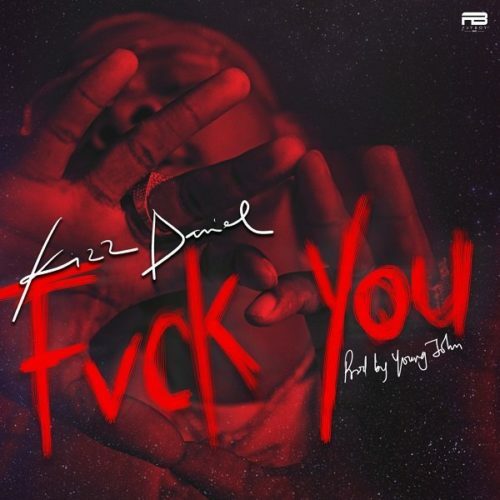 The surefire “Fvck You” once again proves that Kizz Daniel struggles to deliver a bad song, and this offering might just be his most audacious outing yet. Next Story → (Snippet) Wizkid’s New Single – “Ma Pariwo”, Listen! !